In order to be able to sell under the organic/bio/ecological label is necessary to be certified as organic. There is no difference between these 3 terms, in Romania the official term is “agricultura ecologica”, the other terms originating from English and French. The organic foodstuff is a result of the organic farming. Organic farming represents a global system of farm management and food production that combines best environmental practices, a high level of biodiversity, preservation of natural resources and application of high standards on animal wellbeing and production methods that aligns with certain consumers' preference for products produced using natural substances and processes. In Romania, control and certification of organic products is performed by private Control bodies (CB’s). 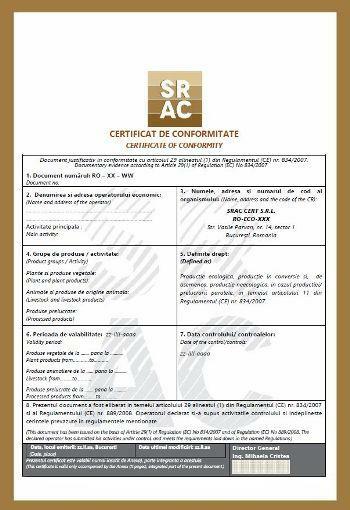 They are approved by the Ministry of Agriculture and Rural Development, which is mandatory preceded by the accreditation performed by an accreditation body (in Romania the national accreditation body is RENAR). Organic Certification helps consumers to easily distinguish between organic and counterfeit products labeled as "organic". 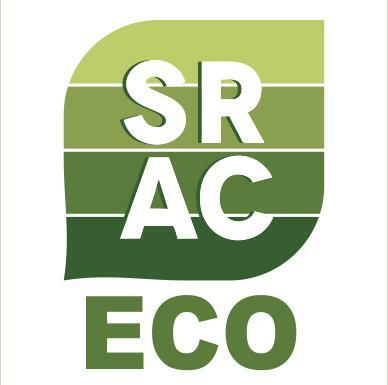 SRAC send newsletters by e-mail so that you will be informed on time and continuously regarding the evolution of the organic farming, of the relevant legislation and of the organic certification and regarding the events organized by SRAC.